The Portuguese legend may replace Stramaccioni as the Nerazzurri head coach. Despite publicly declaring support to the current Inter manager Andrea Stramaccioni , Inter president Massimo Moratti may sack the Italian should the side lose to Milan in the forthcoming derby as the club fell to fifth place in Serie A standings. 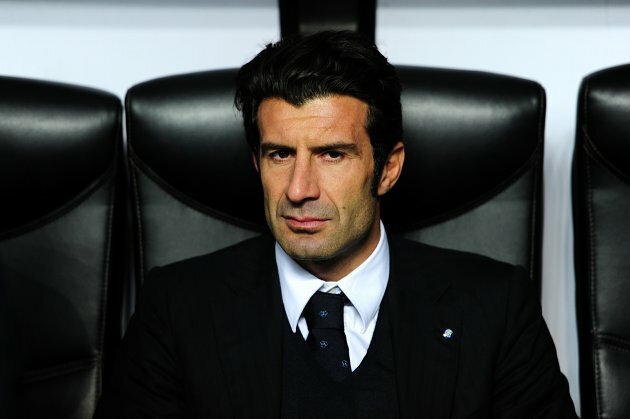 The position of the interim manager is likely to take former team’s player Luis Figo who currently serves as the club ambassador and a board member. Figo had spells at Sporting, Barcelona and Real Madrid, ending his career in Inter where he made 138 outings.